WELCOME TO ROB LUNN'S NEW WEBSITE!! My 'Inside the Studio' blog is a warts-and-all portal directly into my own studio, virtually peaking over my shoulder at the easel. 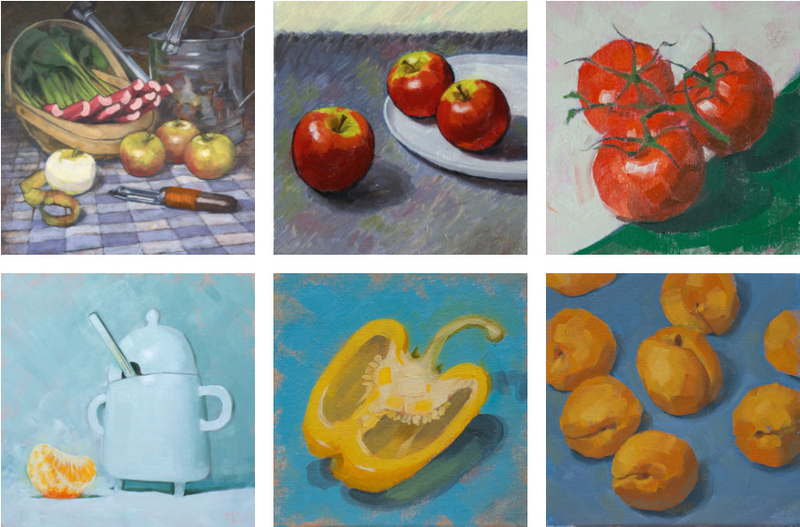 Be the first to see my latest paintings and hear about my new workshops. 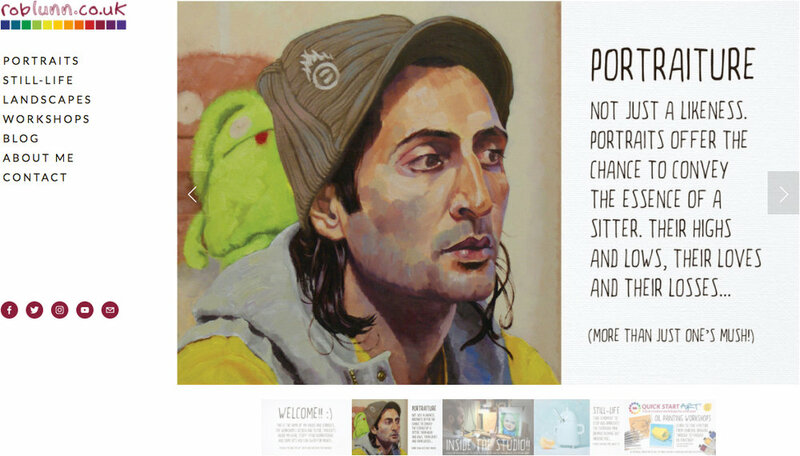 Plus, I'll be sharing tips, tricks and cool painting-related links from the web too. Click here to sign up today. Search through my past work and discover the newness being added all the time. Some works are for sale so feel free to get in touch to arrange to buy your favourite works. I'm also available for commissions so if you have a piece in mind just get in touch to discuss turning your dream painting into a reality. 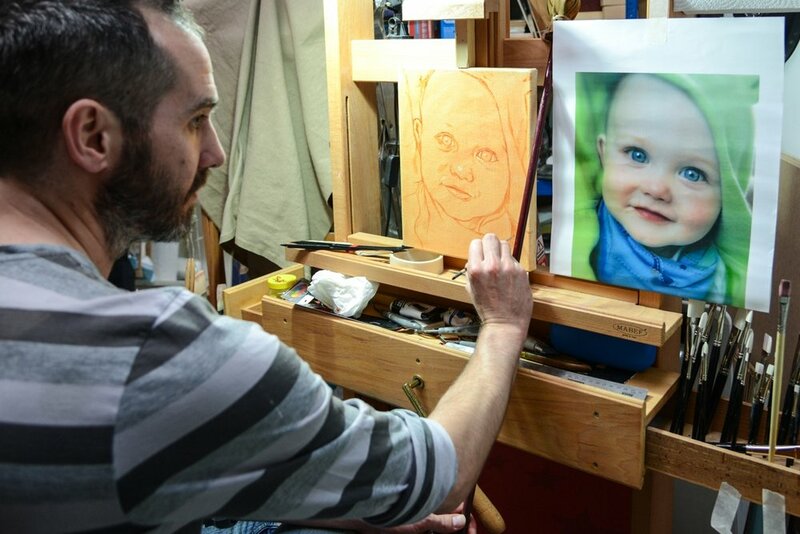 Yearning to paint a portrait or lay-down a landscape yourself but don't know where to start? 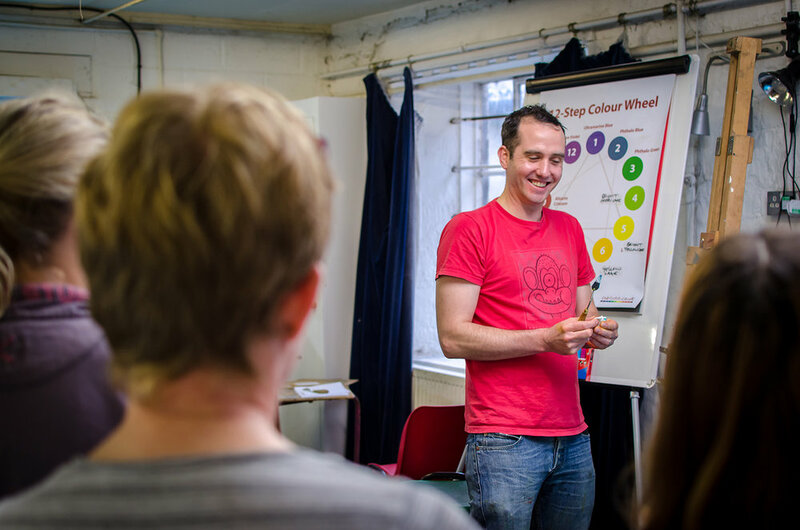 My popular Quick Start Art® workshops are designed for everyone from the complete beginner to the experienced intermediate. I also supply ALL materials on the day, just bring a passion to learn and wear old clothes! All of my latest exploits and hottest news will be shared on the social media sites below. Please follow, share, like, retweet or email, it's great to hear from you!